China's beleaguered stock market endured yet another sell off on Friday, shedding 4% to wipe away the remaining gains from a dramatic market rescue launched by Beijing in early July. The benchmark Shanghai Composite closed just north of 3,500 points, a level that many analysts believe Beijing will try to defend at all costs. Even with a late rush of buying, the index closed down more than 11% for the week. Many companies listed in Shanghai, including some large state-owned firms, fell by the maximum daily limit of 10%. The smaller Shenzhen Composite index shed 5.4% on Friday, taking losses for the week to 11.5%. Hong Kong's Hang Seng index, which has fared better than mainland China markets, also slipped into a bear market on Friday, closing more than 20% below its recent high in late April. The rough trading day extends a wild period in Chinese markets. The first signs of trouble came in June, after the Shanghai Composite peaked at more than 5,100 points, a gain of roughly 150% over the previous 12 months. When the bubble burst, the index lost 32% of its value in just 18 trading sessions, reaching a low of 3,507 points on July 8. Beijing reacted forcefully. The central bank cut interest rates to a record low, regulators suspended new market listings, and threatened to throw short sellers in jail. The country's market regulator organized the purchase of shares using cash supplied by the central bank. Companies were allowed to suspend their own shares -- at one point 50% of all listed stocks were frozen. 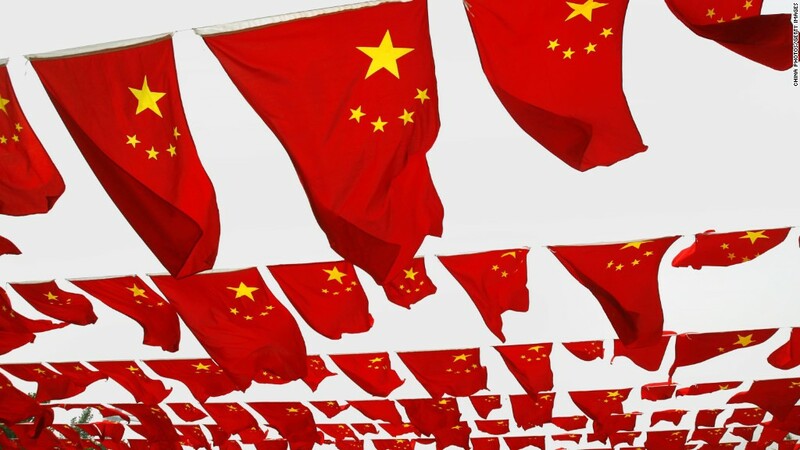 Analysts have maintained that market volatility would have a limited impact on China's economy. Relatively few Chinese are invested in the stock market, and the vast majority of Chinese companies still have access to financing. Concerns are mounting, however, especially over China's currency and the strength of the country's factory sector. On Friday, a key gauge of manufacturing activity tumbled to its lowest level in 77 months. And there are signs of slowing consumer demand. Beijing has also allowed the yuan to devalue in recent weeks, a move that some think was designed to boost the country's exporters. If other countries choose to also devalue their currencies in an attempt to keep their exporters competitive, the retaliatory actions could spark a currency war Asia. Vietnam, for example, has already widened the dong's trading band on two occasions, and devalued the currency by 1%. Malaysia and Indonesia, in particular, appear to be in trouble. Over the past year, the Malaysian ringgit has lost nearly a quarter of its value against the dollar. Indonesia's rupiah has shed 18% over the same period. Both currencies are now at their weakest level since the Asian financial crisis, and losses are piling up. China worries have spilled over into global markets. On Thursday, the Dow fell 358 points to close below 17,000 for the first time since last October, a performance that analysts attributed to China fears, sinking oil prices and uncertainty over the U.S. Federal Reserve's plans. Many investors and economists had bet on a Fed rate hike in September, something it hasn't done since 2006. But in the Fed's minutes published Wednesday, the Fed's committee members sent the market mixed messages. A rate hike would increase borrowing costs -- interest on loans -- for companies in emerging markets. It would also make American debt more attractive to investors, meaning emerging market debt could see a sell off.